CAPE TOWN, South Africa (CNS) — Malaria and cold nights add to the suffering of the increasing number of Mozambicans arriving at a makeshift camp in Malawi to escape violence at home, said a church worker in Malawi. 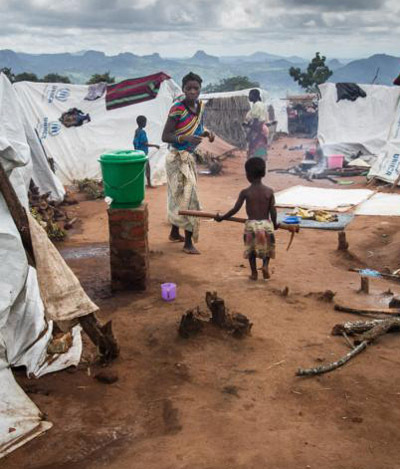 About half of the refugees at the crowded camp in the village of Kapise in Mwanza district, some 60 miles south of Malawi’s capital of Lilongwe, have contracted the mosquito-borne disease, said Rufino Seva, Malawi country director for Jesuit Refugee Service. “Last week, there were about 6,500 people in the camp and more arrive every day,” he said in a Feb. 23 telephone interview. Another woman was in a desperate state with her five children, Seva said. “She had been separated from her husband as they were fleeing their village (in Mozambique) and her children were very hungry,” he said. Conflict between the ruling party, the Mozambique Liberation Front (Frelimo), and the opposition Mozambique National Resistance (Renamo) has been escalating since Frelimo won elections in October 2014, two decades after Mozambique’s civil war ended. The refugees have fled violence and harassment from government soldiers in the coal-rich Tete province. The U.S.-based Human Rights Watch has reported summary executions and sexual abuse in the area. “These are ordinary people caught up in the conflict between the government and opposition forces,” Seva said. He said most people told him it was an eight-hour walk that they began in early morning from their homes to the camp in Malawi. Food and blankets are urgently needed in the makeshift camp, Father Holdcroft said in a Feb. 22 telephone interview from Johannesburg. Doctors Without Borders has set up a mobile clinic in response to the high rate of malaria among the refugees, he said. Shelters have been erected on agricultural land, he said. “The camp is right in the middle of land that is planted with crops, waiting to be harvested,” he said. 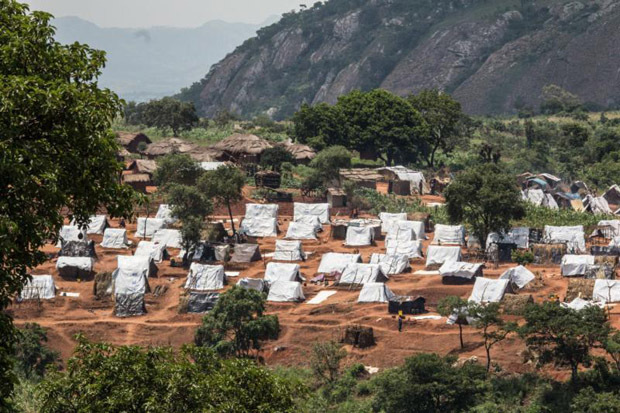 Yet, “no one knows how long this temporary accommodation will last,” Seva said, noting that the Mozambican government wants the people to return and insists that they be called “externally displaced people,” not refugees. “What they are called makes no different to us” at Jesuit Refugee Service and other humanitarian groups, he said. Despite the high proportion of children in the camp, there is no infrastructure to support the teaching of classes and no nearby schools, Seva said. 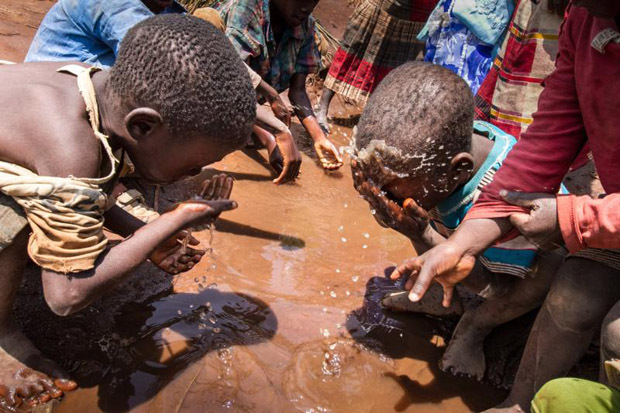 Poverty is rampant in Malawi, with 3 million of the country’s population of 16 million people expected to need food aid this year, he said. “With the long drought and floods last year,” the Malawian government is having to import corn, a staple food in the region.